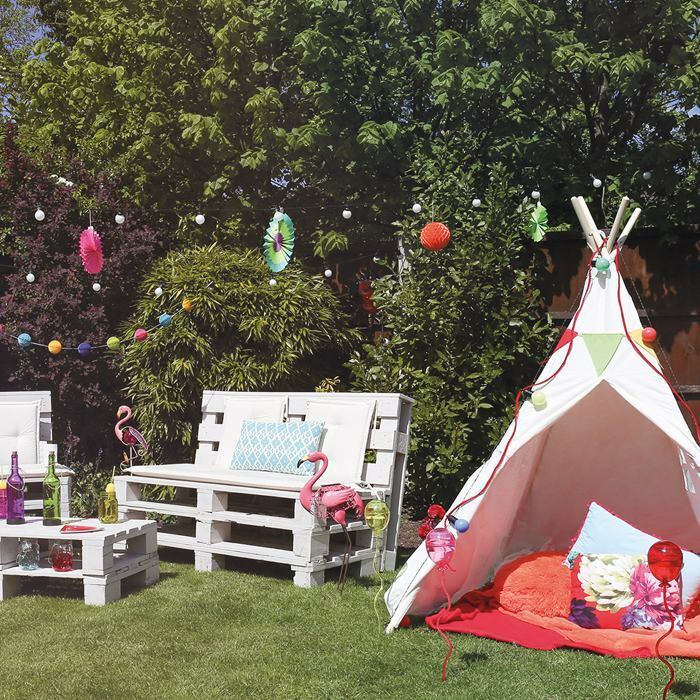 Well the sun’s out and we want to throw a party, a garden party to be exact! 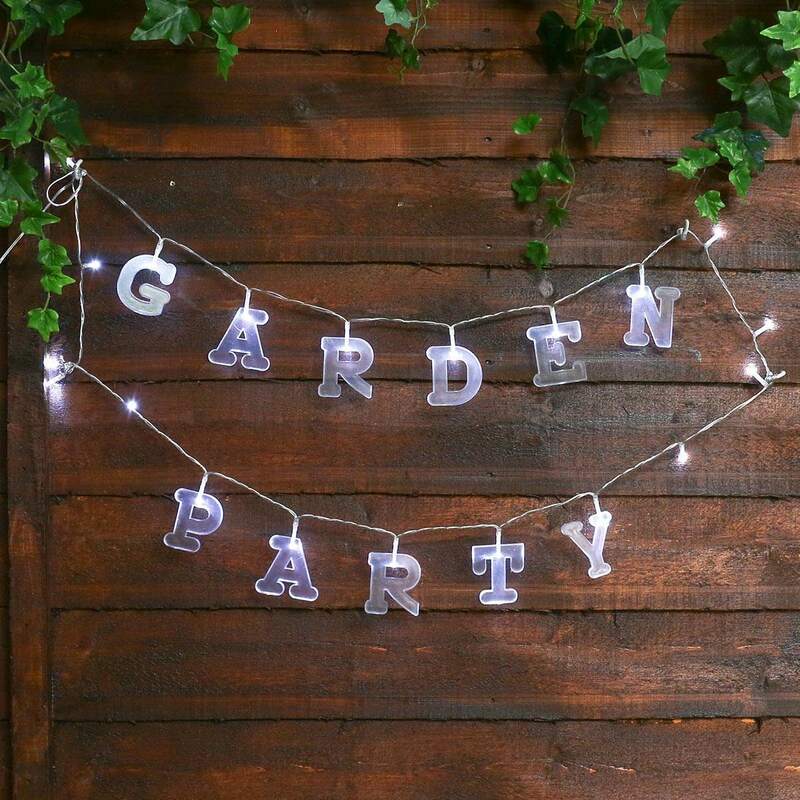 Since we had this overwhelming desire to entertain, we thought a few of you might feel the same, so we decided to share some of our best garden party tips; don’t worry, they’re not just about lighting … well, not all of them! 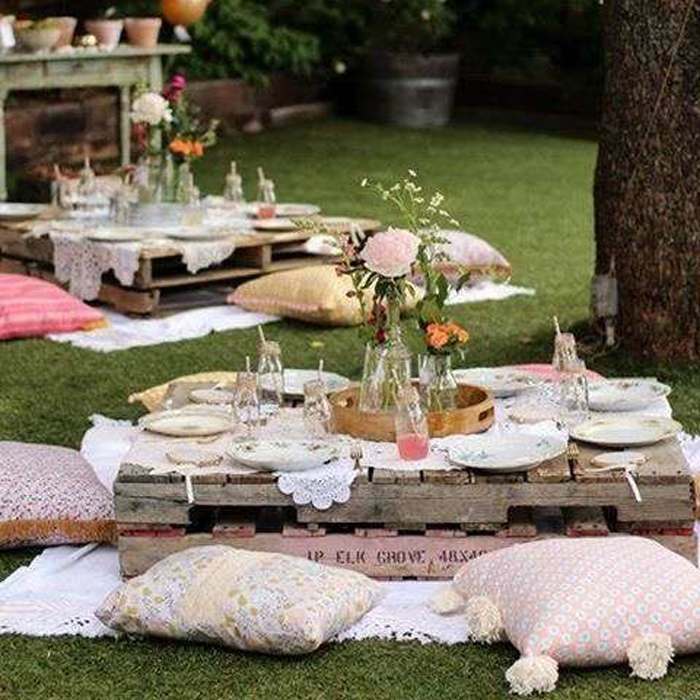 Now your guests are comfortable, let’s keep them warm- even the warmest summer day can end in a chilly evening, so add some old or inexpensive blankets to a basket ready for your guests to grab. 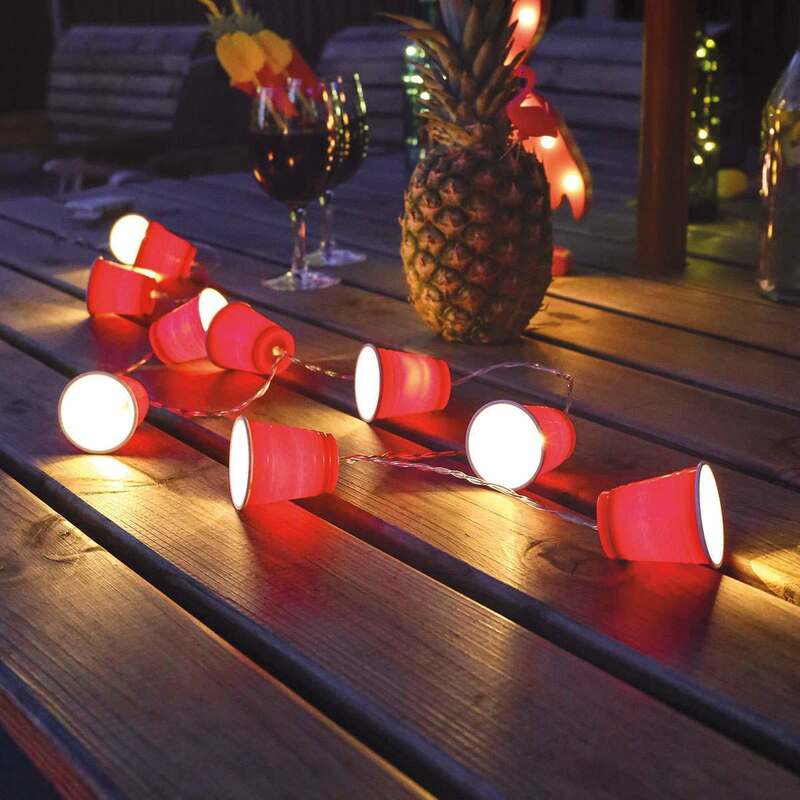 If you really want your garden party to stand the test of time, then plan for it; add lighting to all the main areas of your garden so your guests can stay out, even after the sun’s gone in. 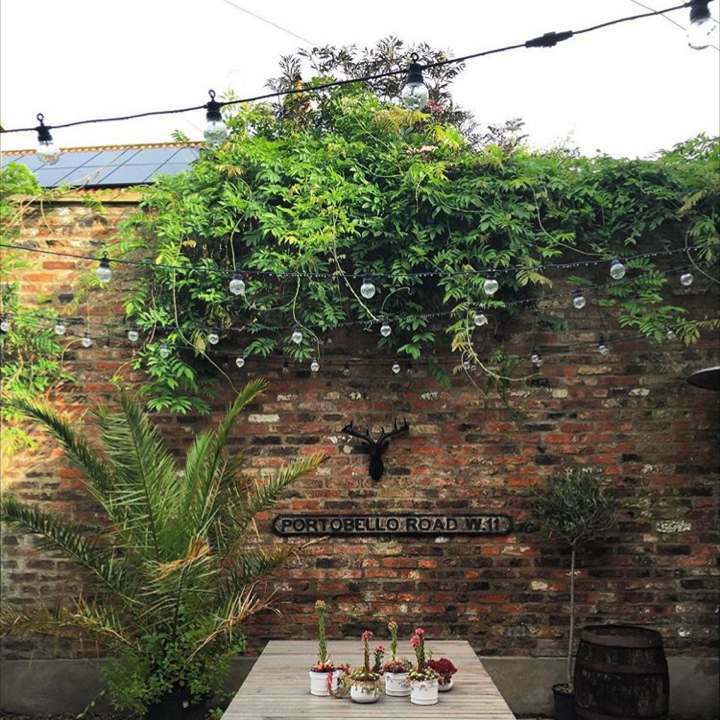 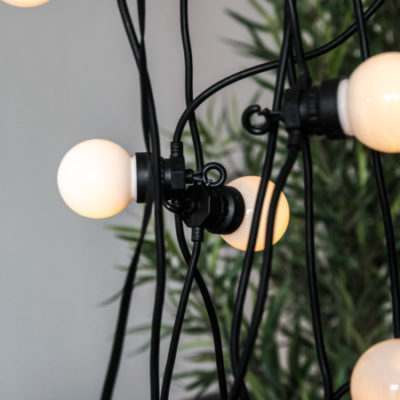 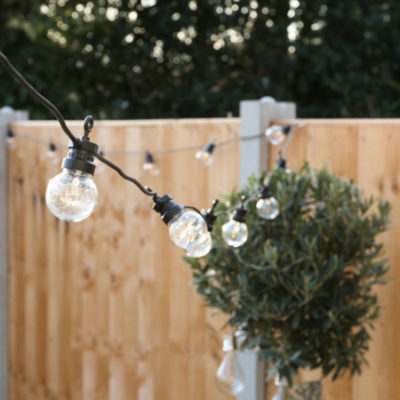 You can also let your lights double up as décor through the day by moving away from standard Christmas tree lights and replacing them with decorative lights that still look great in the light – we love using festoons for this! 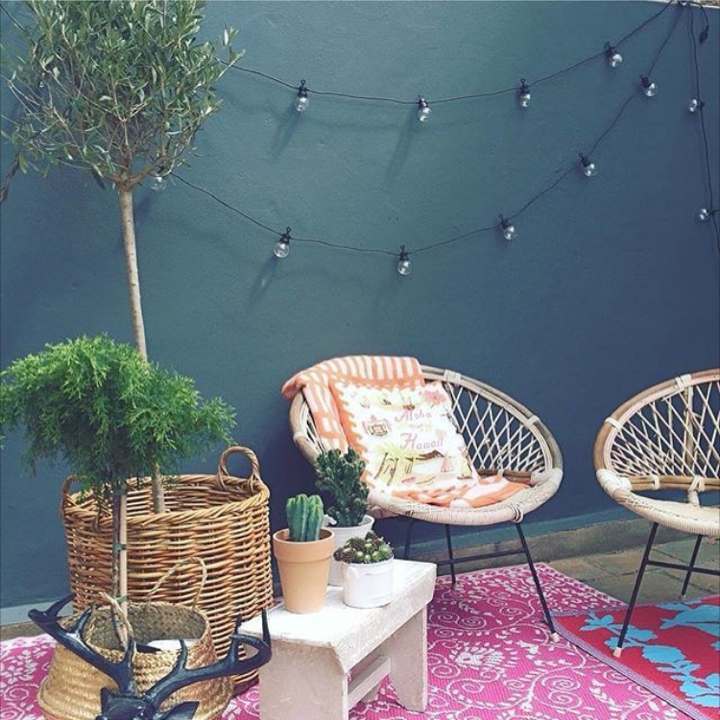 Make sure you don’t have to cut down your guest list because of space, quickly turn a neglected backyard corner into a cozy nook with a colourful rug to help define the area and add some all-important comfort! 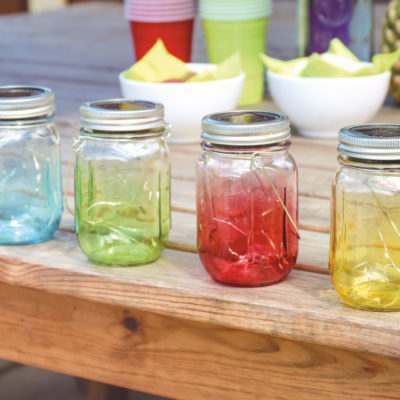 Don’t just place bottles of drinks on a table, let your guests know what’s to come by pre-mixing drinks for when they arrive. 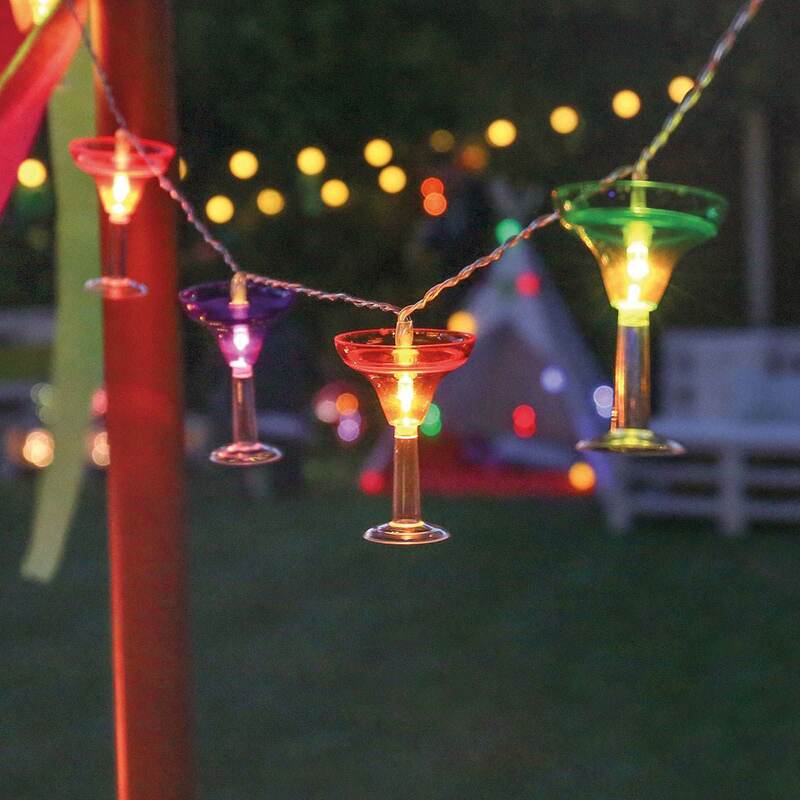 You could even create a signature cocktail specially for the day – think colours, think fruit, your guest are sure to be impressed. 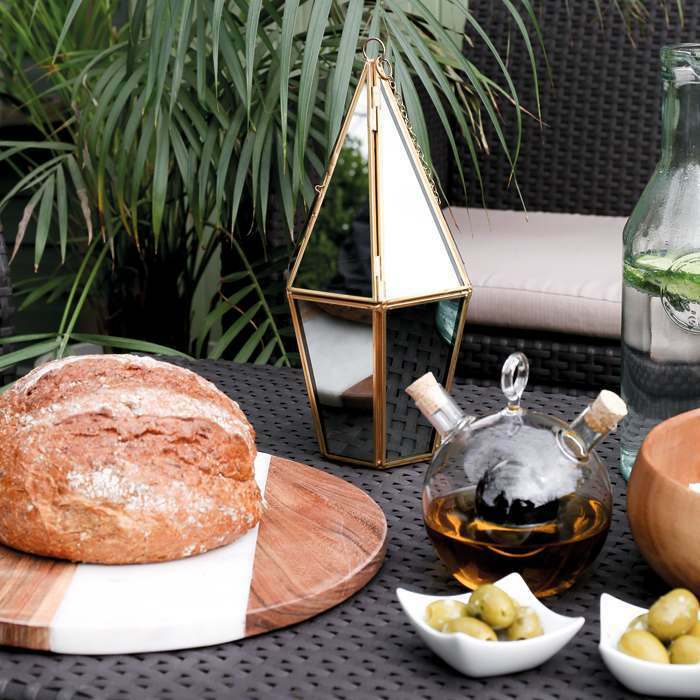 We all know you can’t rely on the British weather to behave itself and, even if you’ve planned your garden party for a ‘safe’ date in June/July, there’s a good chance your summer soiree could turn into a soggy soiree! 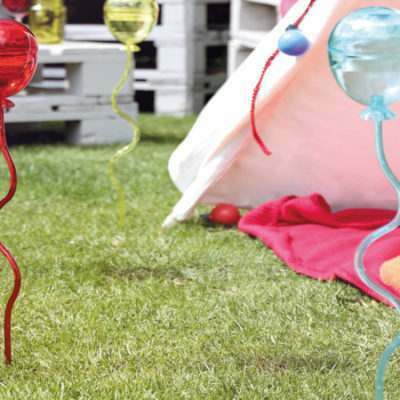 Make sure you have back up shelters like gazebos, which can be put up quickly at the first sign of a downpour. 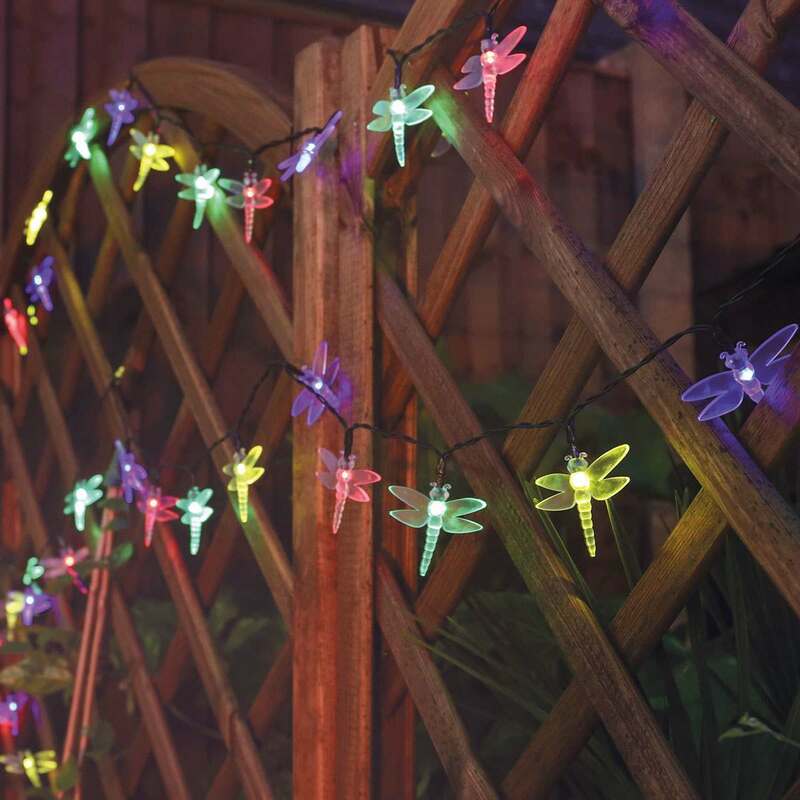 You can style out an unexpected shower by placing fairy lights inside the gazebo roof; your guests will feel cosy, all snuggled safely under the twinkling lights and you will have saved the day. 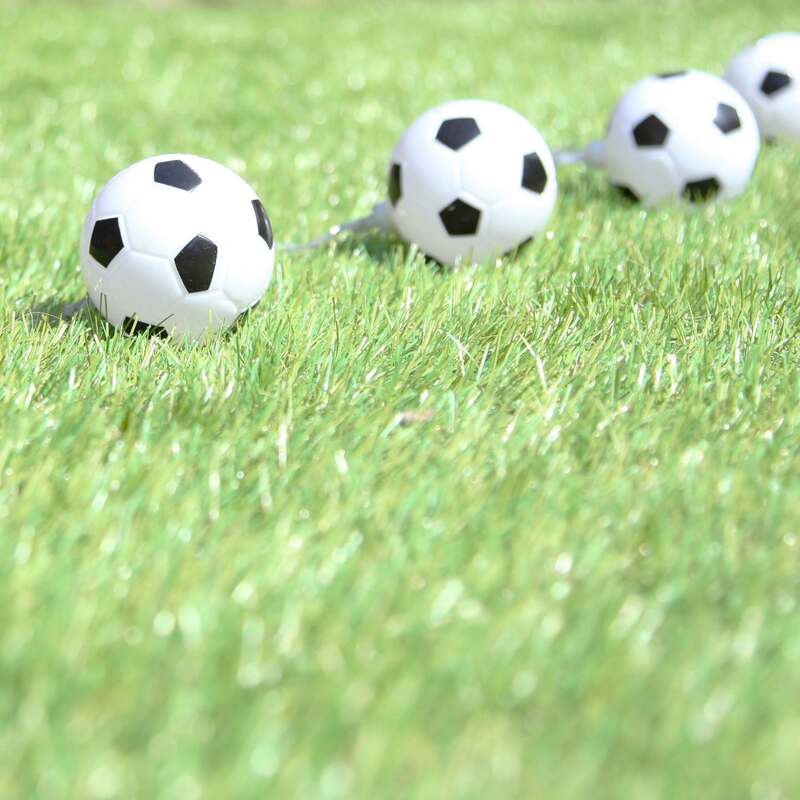 As it’s the world cup this year, you might not be able to find a party date that doesn’t clash, but don’t despair, embrace! 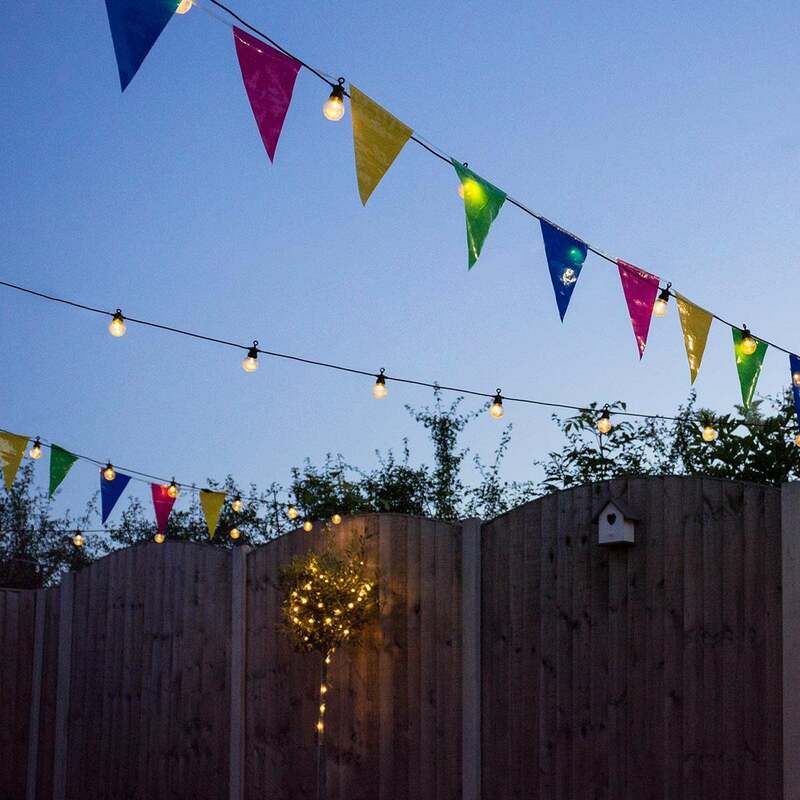 Make your TV visible from your garden so people don’t have to miss out; you could even theme your party around it, think red and white cupcakes, football fairy lights, halftime happy hour and plenty of flags. 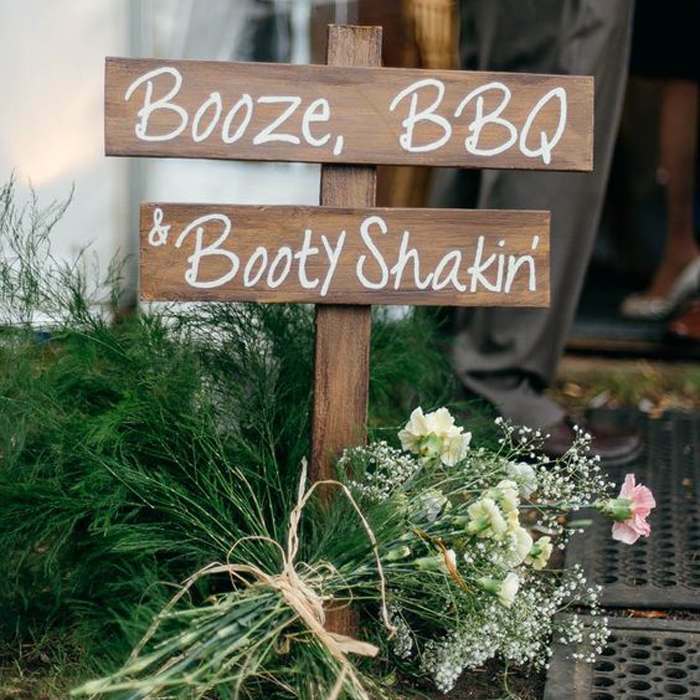 If you liked this post don’t forget to share it with your friends, or better yet send us some photos of you trying out our tips!